When your luck is at its peak, that's the time to act, doesn't matter if you're at the casino, day-trading stocks and commodities, or planning to ask for a raise. 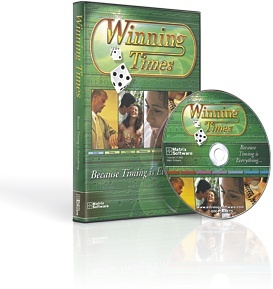 Winning Times gives you exactly what its' name says — the precise moments, on your personal chart, when there is indication that your luck will be at a peak, and your winning potential at maximum power. Built-in tools and recording capabilities make it easy to track your results, and thus fine tune your program for even greater accuracy and performance. "I am so excited since receiving the Winning (Times) program. Since I live in Las Vegas I went out and tested it right away at some casinos. I was surprised how accurate it is. Just because it is green doesn't mean I will always win; I found that some greens I win with and some I don't, but the scan shows me which planets I won on and I can use those planets in the future. The best part is that I know when I won't win and I do not play then. Keeping my money and preventing loss means I get to keep more of what I do win. 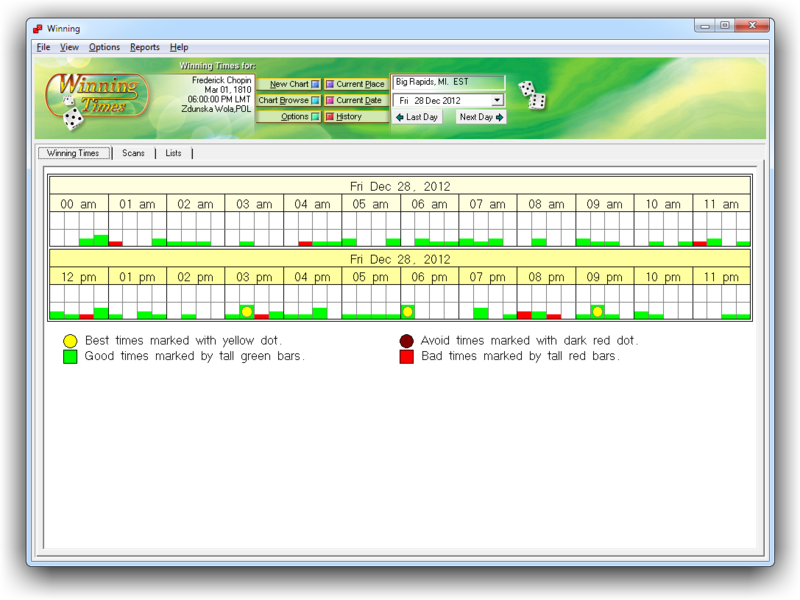 With the scan giving the exact time, I tend to play on those times and am doing better than just the 15 minute spread. Thank you so much for doing such a great job on this." View your lucky moments one week, one day, or one hour at a time. You can time events down to the minute! Lucky and unlucky times are shown in scan view or list view. Includes transiting house cusps to natal charts and transit charts (transiting house cusps to transit chart is a great feature for day traders!). Customize the planets, aspects, and houses shown in the scans and lists. Include midpoints and asteroids too! Shows enter, exact, and leave times for your aspects. Use the browse chart feature to compare your lucky times with others. Easily change the current place to get the most accurate timing for your events. Lucky History: You can keep a log of your wins and losses (good and bad luck). You can associate these events with the astrological events that were happening at the time, and so keep track of what planets are most lucky for you. A great research tool! Reports: Winning Times includes reports for your personal use or for commercial use. Reports detail various layouts of your lucky times — for an hour, a day, or a week. 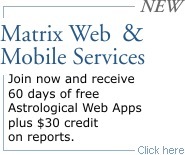 Reports range from the very detailed, to the very simple — for your clients without astrological know-how. Click here for a complete list of Winning Time features. Experienced Professional astrologers and serious student astrologers. Not recommended for use by non-astrologers. All calculation and/or interpretations produced by this program are intended for research or entertainment only. Matrix Software and all associated companies assume no liability for any decisions made based upon output from this program. Winning Times requires a computer with Windows 7, 8, or 10. With 32 MB RAM memory or more, and 80 Mb hard disk space. Also compatible with either 32 bit or 64 bit operating system. Winning Times also runs on Mac computers with Windows Operating System installed.